Dress code: Collared shirts are required. No t-shirts or denim allowed. Tennis shoes are permitted. We had the chance to be one of the first groups out on Ram Rock following its extensive renovation. What a pleasure it was putting soft and smooth bent grass greens that were blemish-free. It was cool to see Ram Rock for the first time in about 8 years. The renovation went really well. 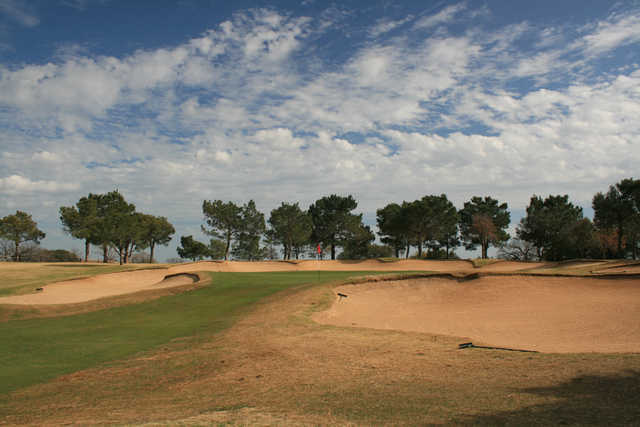 Bunkers were rebuilt and reduced in size, while the greens were entirely rebuilt and enlarged to resemble their original sizes. I really enjoyed the course off the tee. There are a lot of dogleg lefts, so I hope righties out there can hit a draw. In the middle of the round, there are some low-lying, very narrow holes where driver is not the play. There are quite a few elevated greens and forced carries on the approach throughout. Ram has an infamous reputation as one of the toughest in Texas. I'd say the holes that really make the case are the par-4 3rd, a dogleg left that slopes right and goes uphill to an elevated green, and the challenging par-3 8th, which was a long shot, all carry into the wind. 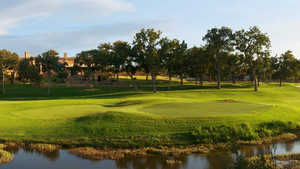 The clubhouse is currently under construction and should open in the first half of 2019, along with a totally renovated Apple Rock. "Making the rounds at HSB - Ram Rock"
This was our 2nd round out at HSB. Ram Rock was definitely my favorite course there. Despite being on the same property as Apple Rock, Ram Rock felt much more upscale. The conditions were superior from tee to green. The layout of the course is very challenging. There are not a lot of easy tee shots or approach shots. Tee shots are very demanding. Sometimes you have small landing areas and others there are trees or things you see from the tee that give the illusion of confined landing areas. Very hard to get comfortable. Once you get off the tee it doesn't get much easier. Many of the greens are tiny and elevated/mounded. So being short or offline at all and you end up with tricky chips and pitches. The conditions were great though, so lies were always pretty reasonable and greens rolled very true. This was a very enjoyable course. 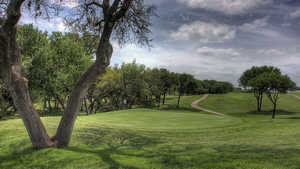 If you only have one round at HSB, make it here... but bring some extra balls! 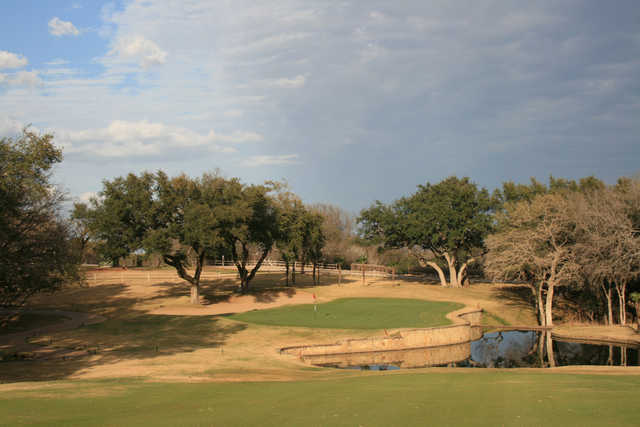 "One of Hill Country's Best Courses"
Ben Crenshaw once said that Horseshoe Bay Resort's Ram Rock Golf Course was the hardest test of golf in Texas. Rumor is Tom Kite has never shot below 80 at the course and he hated it. Of course, both of these bits of trivia are more than 20 years old. This Robert Trent Jones Sr design is magnificent. 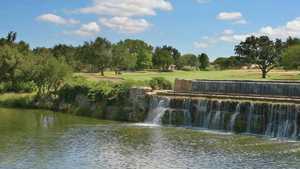 It has held many professional and amateur events over the years and is still sought by Texan elite golfers as a stern test of golf. The opening hole is a sweeping, downhill dogleg left that reflects RTJ's signature design: BUNKERS. 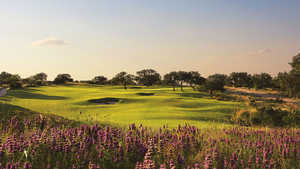 Great hole to start a round of golf that will have play every club in the bag. 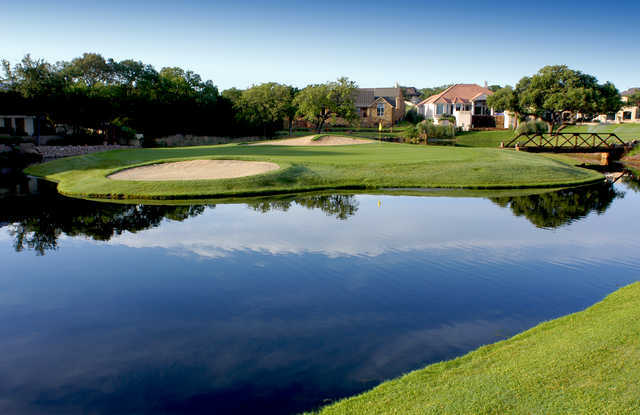 Hole #4 is an island green par three. A bunker needs to be carried to hit the green and long shots will hit a back bunker that presents a downhill play to the flag. Holes #5, #6, #8, #9, #10, #18 are championship worthy. You need to leave your ego in your car and be prepared to play every club you bring to gain a decent score here. Hard par, easy bogey indeed. 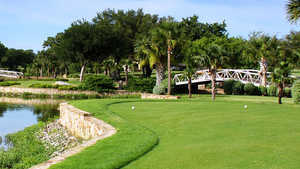 When hearing about Horseshoe bay I always expected something a lot different than this course. My experience started off really good. I thought I was in for a treat with how nice the area around the clubhouse was. Than you start off playing the actual course and it goes slightly down hill from there. This course is very tight and honestly too tight. Too many holes if you barley miss it leaves you OB. The greens were also not holding anything and were very small on top of this. What leaves you coming back are the views and the overall condition of the course. Beyond the greens not holding approach shots everything was fine for the conditions. Also holes like 4 (Island green) and 6 (beautifully short par 4) leave you coming back. But other holes were just stupid and it felt like they were just squeezed in there to fit homes around it. Overall I would say for how much money it is to stay at the resort, just go somewhere else.